Point of no return improv... Comedy at Your Direction! Point of No Return Improv is an improv comedy troupe that performs two Saturdays each month at the Quirk Cultural Center, ﻿1201 Grant Ave, Cuyahoga Falls, OH﻿. Doors always open at 7:00 p.m. Shows start at 7:30 p.m. and are suitable for audiences ages 13 and up. Tickets are $5 at the door (cash only). Point of No Return operates with the support of the Cuyahoga Falls Parks and Recreation Department. "[PNR will have you] shaking with laughter." ​"Best $5 I've spent in a long time! Really enjoyed the show last night. I can definitely recommend Point of No Return Improv. I'll be back." ​"This group is simply fantastic. They never disappoint and I always leave with my sides hurting from laughing so hard." "Great fun! Must see if you've never attended. 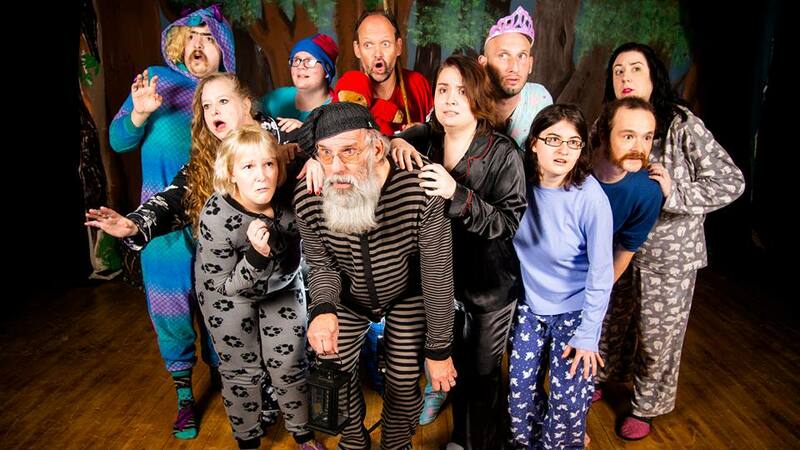 A very talented group who will make you laugh!" "So funny! Good clean fun in a family friendly environment. So refreshing to see really talented and clever people making others laugh." "Looking for some great comedy without the worry of embarrassment, then this is a must do..."